Funko Pop – Video Game Edition — GamingWithSwag.com - Dads By Day, Gamers By Night. Me and my wife are fans of the Funko Pop line of figures. I have a Lando Calrissian staring at me as I write this, but I think almost all the video games that I really dig are not represented by the product. 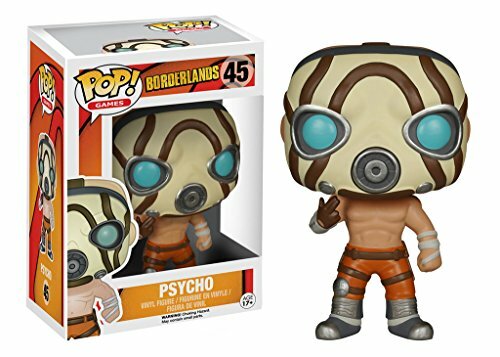 So I thought I would kick off my writing on this site about games and their paraphernalia by discussing where Funko Pop have crossed paths with Video games and perhaps where I would like to see it go in the future. I will first acknowledge the video games sets that have been released, Mass Effect (It is weird seeing the Shepherd that isn’t the one that I custom made in the game, like “who is that guy?”), Assassins Creed, God of War, World of Warcraft, Borderlands, Starcraft, Diablo’s Tyriel, Sackboy from Little Big Planet, and Evolve. And there are also a ton of characters that are more famous in comics or movies that also are in games like almost any superhero, Harry Potter, Ghostbusters, Star Wars, etc. But given the huge landscape of video game history it seems like a generally untapped market. Since Funko Pop are at their base level affordable collectables with a unique almost Caricature take on famous likenesses I think there are many hard earned dollars they could squeeze out of my pockets by getting their hands on more video game characters. Let's take it again, Bison had his eyes closed. Dhalsim be sure not to hover out of frame. They often release in groups of 6. This would hit a couple of popular characters but allow them to hold some choice ones for the next wave or two (Ken, Guile, Vega, Dhalsim, Zangief, Cammy perhaps). You don’t think people would be clamoring to get the Exclusive glow in the dark electro-Blanka? Or maybe an Amazon Exclusive beaten up Ryu? This line would print money. But I would love to see any number of these video game characters brought to life by Funko, especially some characters that don’t exist in the toy realm already like anything by Nintendo. Maybe they make some deals with smaller companies and make any number of these happen. Please feel free to add your own suggestions in the comments to pad my top 20 that is in no particular order. 18. Mecha Hitler (Wolfenstein) Can you imagine explaining this toy to someone? !